Man and van London from A Man with a Van London. Welcome to A Man With A Van London, the best value, honest and reliable Man and Van service based in London. We are happy and grateful to be able to provide professional moving services and storage, and we are enjoying great reputation thanks to our attention to details. We operate in London with our new VW vans. Book online today to experience for yourself one of our amazing professional services! We offer the most comprehensive house, home, or office removals in London at a price you can afford. With our huge experience in removals, we go above and beyond to meet our customers’ moving needs and expectations. We are experts in commercial and office removals in London, offering bespoke services at special business rates. Alongside removal services, we offer safe and secure packing services in London using only the highest quality materials. But that’s not All…We are not only competent but also reliable and cheap! At A Man With A Van London, we can help take the stress out of your move. Our existing customers already know about the exceptional qualities that make A Man with a Van London Great. Most of them think it’s our reliability that makes our man and van removals, storage, packing and unpacking services great value for money. Others think it’s our professionalism, affordability and our commitment to providing an outstanding service that makes our company succeed and expand over the past years since 2007. If you have never so far used us, then please, forget about any stress or insecurity when moving, and Remember – We will take care of everything so that you don’t have to. By using the experience gathered throughout the 12 years of providing efficient and reliable removal and a market-leading man with a van service, We can say, we are proud to continue to help Londoners and to develop into the Number one man with a van company in London. You surely have already seen our new shiny vans, each one with our unmistakable logo on it. We move at least 30 homes and offices every week in London. We know there are many removal companies in London, and you may be feeling overwhelmed with your choices. We have to build a reputation of someone providing High-Quality Services at Affordable Prices, to give you the confidence So that you can trust us with your possessions and your safety! Through this site, you can find out more about what sets our man and van in London company apart. You can also book and pay securely using the form below! The distance of the journey, Amount of items, Postcodes, Number of men needed, Extra services such as packing, Stairs etc... Each man and van company will price their services differently, so there’s quite a bit of variability. However, we’ve compiled the average hourly rates for hiring a man with a van, so you have a basic idea of expected costs. Our prices are cheaper than the average. Sometimes, we are able to provide a fixed price instead of an hourly charge for a service that we know all about in advance. This might be cheaper for you if you want to prepare for possible delays and protect yourself from extra half hourly charges. Man and van professionals always set a minimum charge. Usually, this is for 2 hours, meaning you’ll need to pay for 2 hours of time at the least. Why? Well, because the first thing to consider is that most Professional London based Movers cover the whole of London, which as we all know is a massive area. In fact, if we have to offer our services within the M25 as 'London' it's about the size of 3 other cities. London is in 2019 also famously congested and depending on the time of travel and a multitude of unknown other components, getting from one part of town to another, can actually take 2 hours on a bad day. This is the number one reason why the majority of London Movers must charge a minimum time for each job. As we also offer very competitive prices - it's the only way to conduct a viable business. Keep this in mind when exploring our man and van prices. Get the right man with a van at the right price is easy. We know there are so many man with van companies out there. So how do you choose? By sending a quote request, you’ll be able to receive our quote and if you want, compare it with others. With all the quotes available, you can easily identify the right company that matches your needs. Our form is completely free and you have no obligation to accept our offer. *If there are stairs involved, an extra charge applies of £10 per floor per mover. All bookings are subject to 5% service charge. Prices are valid for all London postcodes Mon-Fri. Weekend surcharge of £5 per hour applies on top. Use our form below to get a precise quote, or contact us. At A Man With A Van London, we want to be able to offer our customers exactly what they want. That is why flexibility is at the heart of our company. Our wide range of services is intended to cover all aspects of moving, delivery and storage. If you need a service that is not on our list above, please get in touch with us! A good moving company operates on solid expertise, skill and knowledge. All our staff are expert in their field whether they are drivers, removal workers or our expert packing team who will come and pack for you if you need them to. All the drivers that we employ have an abundance of local knowledge. We like to think they know their way around London as well as a black cabbie! This means that our drivers will get to your location in the shortest possible time even amidst traffic problems. Understandably, not everyone can move during a working day. That’s why we are available to our customers 7 days a week even at short notice. Whether it be an overnight move or long haul to Europe, speak to a member of our team and we will do what we can to get you on your way. We know that part of the stress of moving is the cost. At A Man With A Van London, we tailor our quotes to each individual circumstance to keep costs low. All of our charges are transparent so you know exactly how much you will be paying from the start. We accept card payments which are collected once your move is complete. Although our focus is to provide a safe and seamless service, we’ve got you covered if things go wrong. We are fully insured to give you the peace of mind that you expect from a company who has your best interests at heart. Our public liability and goods-in-transit insurance policies offer comprehensive coverage. Removals companies in London are aplenty but aren’t always as professional as they should be. Contrary to most of them, we have the knowledge, expertise, people, and equipment to provide a fully tailored large removal service to larger organizations and companies. Over the last 11 years, we have become the top man and van removals company in London and we are humble and proud of our achievements. We have moved homes and offices every week for over 11 years now and with our London removals services are great value for money. Our vans are equipped for the purpose of removals, and our drivers are chosen for their skills and reliability. We want our customers to draw on our experience, gained over many years and thousands of moves, and we are always happy to offer a piece of advice if it’s needed. Whether you’re moving from a room or a studio or a larger moving job is required, we will assess your needs and we’ll provide you with a free, no-obligation quote. We are 100% sure You won’t Regret contacting us. We have trained our people to take care of small jobs, medium removals, specialist objects moving, such as paintings or pianos. If a small removal is needed, we will send a man with a van, and if a large one is required, we will send a team with 2-6 people, depending on the needs. Our expertise is man and van but it also extends to office relocation and even furniture disposal. Whether you are on a tight budget or not, we’ll work with you to get the job done. There’s a reason why people chose us – we’re more committed than others to provide a better service and help all people. 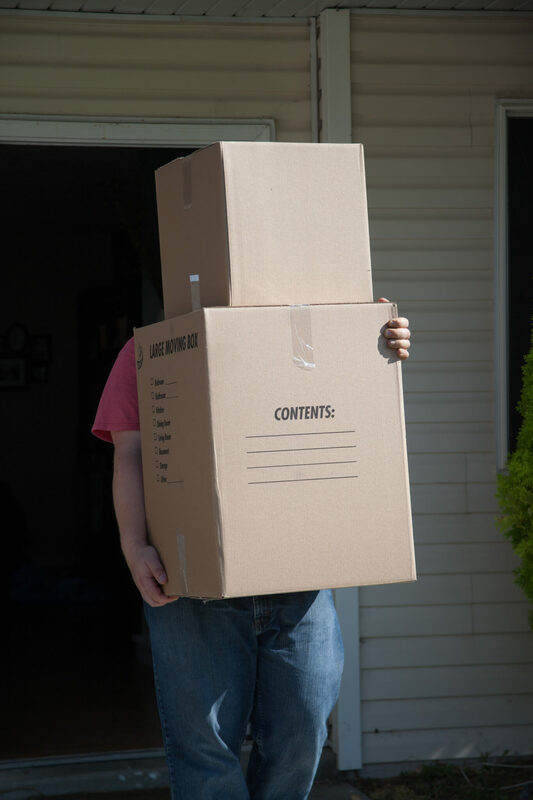 We know that not everyone needs a full removal service which includes packing and unpacking, and that’s why we do not consider any job too small. Our experienced and professional teams treat all our customers the same – as though they were family. Plus, we put the utmost care into every move as if we are moving our own belongings! Our aim is to offer a man and van service that is end to end, and that cannot be beaten. We know that we will be judged by the service we provide and that personal recommendation is the best way to get new business. You really have nothing to lose and everything to gain by booking us to handle your job. No matter what you need is: a man with a van for a small one person move or something bigger for a family or an office move, our experienced and friendly teams will be moving you – hassle-free. We are trained to handle all sorts of items including awkward or valuable ones, and we offer all inclusive London removals including, packing and storage. We can even help set up your new office. In all cases, our Man and Van removals London will ensure, you receive a worry free service! Get in touch today to find out why we’re the top man and van removals company in London.